Leeds "reluctantly" allowed Sky TV to broadcast Tuesday's Championship game against Derby, having initially barred cameras from Elland Road. They are unhappy at the number of their fixtures moved for live coverage. The 19:45 GMT kick-off was Leeds' ninth league match to be shown this season. Leeds said the Football League threatened them with a disrepute charge but added in a statement: "It is the League who are bringing their own competition into disrepute." The club's owner, Massimo Cellino, has said moving games for live coverage reduces attendances. "From a sporting point of view where they get more recovery time, I have to agree with the president, yes." Second-placed Derby have already featured in eight live televised games this season, the same number as 14th-placed Leeds. "The club's got a massive point. They can't keep doing this to Leeds United and the fans. It's not fair. It's not one game, it's a catalogue of games all the way through the season, starting with Doncaster at the beginning of the season on a Thursday night. The fans have been asking for a little bit of fairness from the Football League and Sky." Leeds said the Football League were "unfairly prejudicing Leeds (and certain other clubs) by allowing Sky to unfairly disrupt Leeds United for their own commercial purposes". The statement added: "It is not just the number of times the club has been selected, but the fact the adjoining fixtures are also then disrupted which adversely affects the players, the club's logistical arrangements and the fans' arrangements. "Recent good results have been achieved despite the alterations to the fixture list, but at great cost to the players' fitness and a substantial injury list. The festive plans of supporters have also been entirely ruined by Sky's live TV selections." Nottingham Forest have appeared in nine live matches, the most of any Championship club, while Preston, Brentford, Charlton, Rotherham and MK Dons have all featured twice. The statement continued: "Given Sky are to show 92 live games this season, a fair allocation would be four home games per club - so the selection by Sky is clearly unfair and the League are allowing this. "The Football League regulations are supposed to be there to protect the integrity of the sporting competition, not to be used as a stick to beat the club on behalf of Sky." 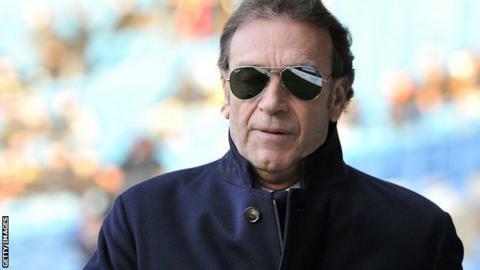 Cellino, the former owner of Italian side Cagliari, is waiting for an appeal date to contest a second Football League ban for breaching its owners' and directors' test following a tax evasion conviction in Italy. In October, Cellino said he would limit ticket sales to Leeds fans for away games in the Championship in protest against the Football League's policy on televised matches. However, he backed down when the club's supporters opposed the plan.